The Lotus Design standard yoga mat is tight, stretchy and shock absorbing to provide you with a solid base for performing various yoga poses. It features a relatively non-slip surface when compared to conventional PVC mats and has Öko-Tex 100 Standard certification, which confirms that it is skin-friendly even for small children and babies. 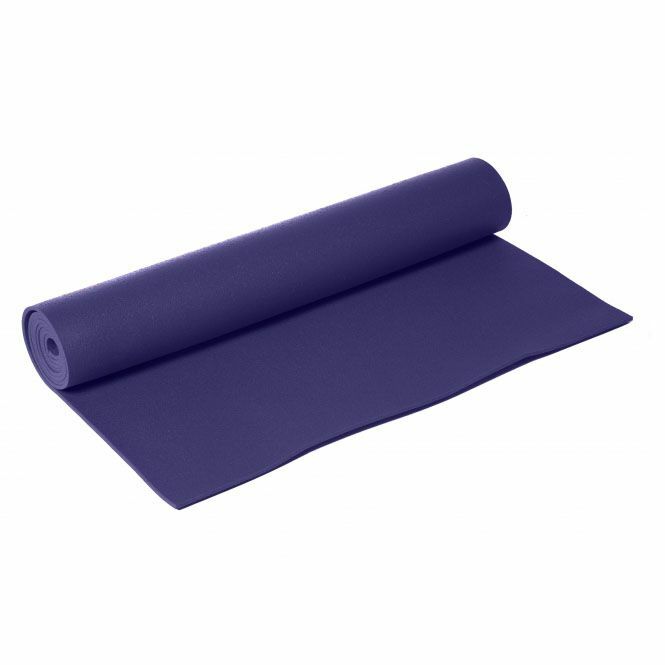 This 3mm (0.11”) thick mat is 183cm (72”) long by 60cm (23.6”) wide. for submitting product information about Lotus Design Standard 183 x 60cm Yoga Mat We aim to answer all questions within 2-3 days. for submitting product information about Lotus Design Standard 183 x 60cm Yoga Mat. We aim to answer all questions within 2-3 days. If you provided your name and email address, we will email you as soon as the answer is published. Great mat and colour. I believe that the smooth side faces down and the ridged side which gives great grip. for submitting product review about Lotus Design Standard 183 x 60cm Yoga Mat.